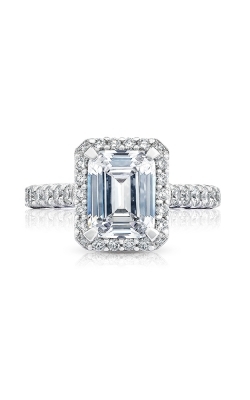 The emerald cut engagement ring has been adored by women around the world for centuries. 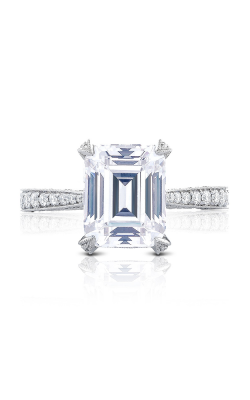 Often used to enhance the vibrant color of a stone, emerald cut diamonds are fastened into the shape of an even square or rectangle. 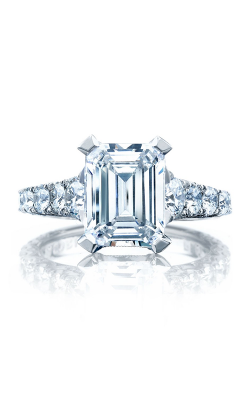 Once worn by European royalty, emerald cut rings exude a vintage regality that still exists as a popular diamond cut today. 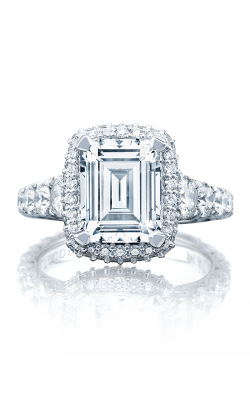 The emerald cut diamond is often identified as having a large table and a deep pavilion which is intended to draw the viewers’ eyes inward. 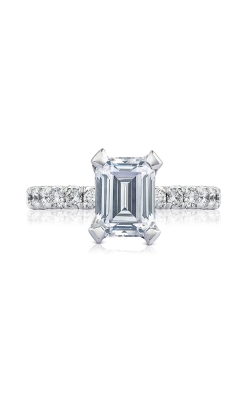 With over 75 years in the business of elegant and eye-catching jewelry, Rumanoff’s Fine Jewelry in Hamden, Connecticut knows what a perfect emerald cut engagement ring should look like. 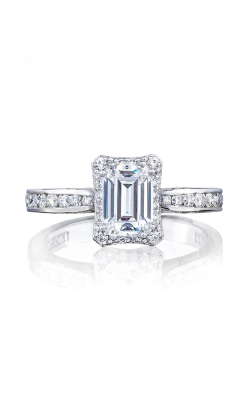 The family staff at Rumanoff’s Fine Jewelry have four generations of experience in emerald cut engagement rings and can help you find the ring that is sure to stun your partner. 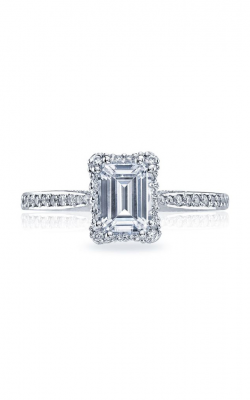 There are many timeless emerald cut engagement rings to choose from at Rumanoff’s Fine Jewelry’s Hamden showroom. One favorite selection is the Blooming Beauties Collection by the brilliant designers at Tacori. 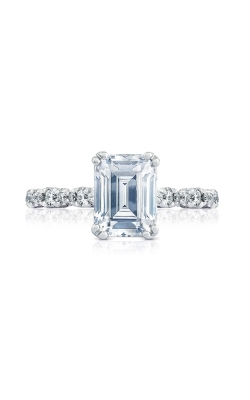 Designed with the traditional look in mind, Tacori puts the natural radiance of the emerald cut diamond into focus with their Blooming Beauties Collection. Tacori’s decades of experience shines through with this collection, creating a timeless look that is fit for royalty of the past and today. Fana designer engagement rings house emerald diamonds in a stunning halo style ring with diamonds even adorning the side of the band as well. 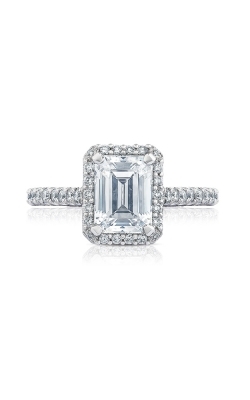 Another popular selection is the Halo Engagement Ring Collection designed by the passionate designers at Sylvie. 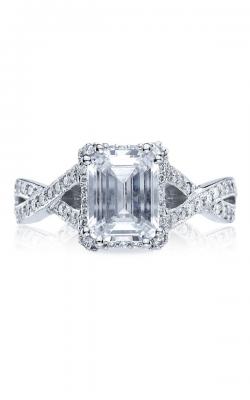 Fastened with a stunning emerald cut diamond at the center, and surrounded by a cluster of other supporting diamonds, Sylvie’s Halo Engagement Ring Collection takes a vintage look and seamlessly modernizes it. From Verragio, the designer who mastered the art of mixed metals in beautiful jewelry pieces, they incorporate the emerald shape with bands in their Insignia Collection prepped and ready to hold your dream emerald ring. 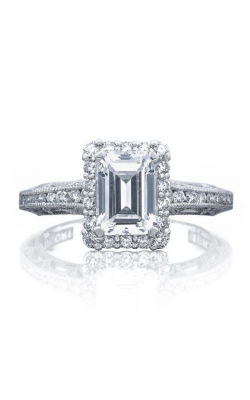 Whether you’re looking for a traditional vintage look or are hoping to purchase something more modern, Rumanoff’s Fine Jewelry has what you need. With over four generations of family ownership, Rumanoff’s Fine Jewelry has a rich history of providing the New Haven County area with designer engagement rings, wedding bands, timepieces, GIA-certified loose diamonds, and fashion jewelry pieces. Rumanoff’s Fine Jewelry also supports customers by providing one-of-a-kind services such as jewelry repair, custom design, and even engraving. 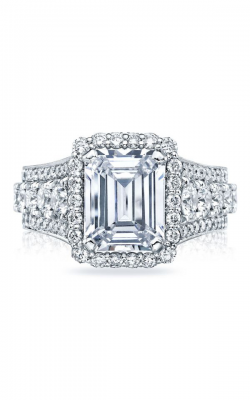 Let the experienced and welcoming staff at Rumanoff’s Fine Jewelry help you find the emerald cut engagement ring fit for such a momentous time in your life.